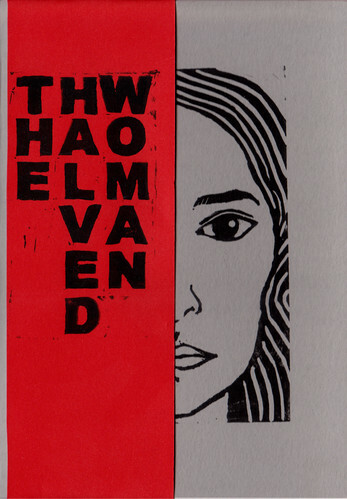 The Halved Woman is a short story set in the fictional city of Buentoille. It was written by Charlie Dart as a present for a couple of people who supported him whilst he wrote The City of a Thousand Festivals. The story follows a television interview; just three people talking about family, a sunken house, and a cult. If you haven't read any of the The City of a Thousand Festivals, the story will still make sense, and hopefully you'll still enjoy it. If you have read about Buentoille before, hopefully you'll enjoy the feeling of stepping a little closer to the action. The header art is the cover of the original print run, made by Charlie. If you would like a physical copy of The Halved Woman, please send a message to charlie@cityoffestivals.co.uk. i just read this for the first time recently and i LOVED it!